One of the most special meals I had in India this past January was in the langar, or community kitchen / dining hall of the Golden Temple in Amritsar. The langar is committed to serve free food to anyone who comes through its doors, almost 24 hours a day (Golden Temple opening hours are 6am – 2am). Cover your head, remove your footwear, take a plate, cup and spoon and find an empty spot among the long rows of the hungry. Leave a donation at the entrance / exit if you feel so inclined. It may not be much to look at, but the toasty chapatti, spinach with paneer, dahl and the rice noodles cooked in sweetened milk that got doled out were all pretty damn tasty — and the perfect antidote to having walked barefoot on marble on this chilly foggy January night. Your plate will keep getting refilled for as long as you need. It was a simple meal but I found it to be a heartwarming, even moving, experience. Because this massive, all-day, come-all-who-are-hungry kitchen is run entirely by volunteers and donations. The Golden Temple is the HQ of the Sikh faith, and Sikhs everywhere are encouraged to spend 1 week of their life at some point volunteering at the temple. And so they do, all around the temple. In the langar volunteers prep an endless Himalayan range of veggies…. … and wash enough dishes and cutlery to fill the Ganges. Some believe that food tastes its best only when it it made with love. The fanciest dish can ring hollow, and the simplest dish can shine, all depending how much love went into its preparation. Which probably explains the gut-nourishing, heartwarming delectability of that humble langar platter. 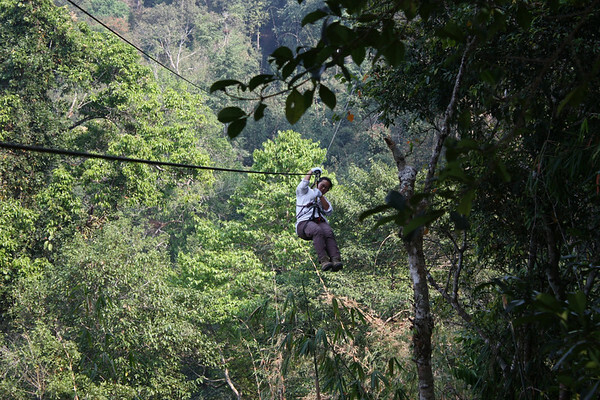 Here’s a video of me zip-lining through the forest in Laos, where we stayed in treehouses for two nights, watching Gibbons and other wildlife in the Bokeo Conservation Area as part of the Gibbon Experience. 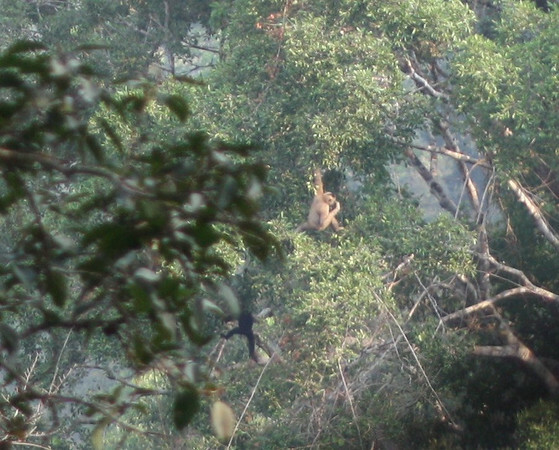 We got pretty lucky in seeing Gibbons as they roam in troops over a large area of forest, and there’s no guarantee that they will be anywhere near the treehouses on any given day, though the guides take you trekking to try and find and see them. More photos at SmugMug.